Modern Mormon Men: MMM Sermons: "Come to Zion"
MMM Sermons: "Come to Zion"
Members of the Church of Jesus Christ of Latter-day Saints call them "talks," but most non-Christians call them sermons. This is a series of sermons that many Latter-day Saints love and believe. I hope these sermons promote and perfect your faith as they do mine. Read or watch the sermon here. I remember reading in Matthew 24:36 a statement by the Savior regarding His Second Coming: "But of that day and hour knoweth no man, no, not the angels of heaven, but my Father only." Thus, whenever I see signs by groups who proclaim to know the exact date and/or time when Jesus will return, I know that such a claim is contradictory to Christ's teachings in the New Testament. 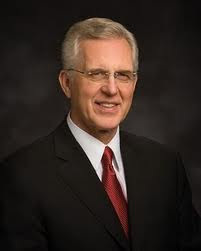 So, when I heard Elder D. Todd Christofferson's October 2008 sermon during General Conference, his talk resonated with my personal feelings about the Coming of Christ and Zion. Zion is a necessary precursor to the Second Advent of the Savior. But attempting to give God a deadline as to when these things should transpire is like herding cats: an exercise in futility. Zion is Zion because of the character, attributes, and faithfulness of her citizens. Remember, "the Lord called his people Zion, because they were of one heart and one mind, and dwelt in righteousness; and there was no poor among them." (Moses 7:18). If we would establish Zion in our homes, branches, wards, and stakes, we must rise to this standard. It will be necessary (1) to become unified in one heart and one mind; (2) to become, individually and collectively, a holy people; and (3) to care for the poor and needy with such effectiveness that we eliminate poverty among us. The Prophet Joseph Smith said, "We ought to have the building up of Zion as our greatest object." (Teachings: Joseph Smith, 186). In our families and in our stakes and districts, let us seek to build up Zion through unity, godliness, and charity, preparing for that great day when Zion, the New Jerusalem, will arise. Zion will not come, nor will Christ come again, unless we become one in mind and one in heart, i.e. Zion. What suggestions do you have for helping to foster Zion in your home, your ward, your stake, and/or your community?